EVER since the Federation of Malaya came into being on Aug 31, 1957, our federal legislature (Parliament) has comprised two chambers: the lower chamber (Dewan Rakyat) and the upper chamber (Dewan Negara). 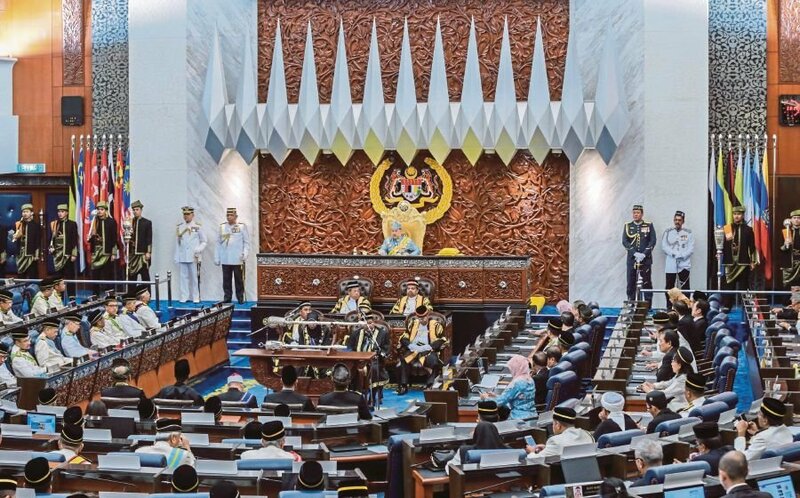 Members of the lower chamber are elected while the members of the upper chamber are appointed, some by state legislative assemblies, others by the Yang diPertuan Agong. Article 44 of the Federal Constitution states that, “The legislative authority of the Federation shall be vested in a Parliament”, which consists of the Yang di-Pertuan Agong, the Dewan Negara (Senate) and the Dewan Rakyat (House of Representatives). We are told that we follow the Westminster model of democratic government. The Parliament of the United Kingdom of Great Britain and Northern Ireland (commonly known as the UK Parliament, or British Parliament) is made up of the House of Commons (lower chamber), the House of Lords (upper chamber) and the Queen. The British Parliament has sometimes been called the Mother of Parliaments. A good friend, a retired civil servant noted for his interest in politics, asked me recently whether it was feasible for Malaysia to have just one chamber, consisting of just the Dewan Rakyat. When I asked him why, he said that recent events seemed to show that our upper chamber (Dewan Negara) is no longer relevant. He reminded me that our state legislature has always (since Merdeka) been unicameral, comprising the Dewan Undangan Negeri (state legislative assembly) and the sultan (ruler). There is no second (or upper) chamber in state legislative assemblies, he added. In other countries, the lower chamber is known by various names (House of Representatives, House of Commons, Chamber of Deputies and Federal Assembly), while the upper chamber is also known by equally various names (the Senate, House of Lords or Federal Council). The lower chamber is usually larger in size than the upper chamber. According to a study by the National Democratic Institute for International Affairs, the are several advantages of bicameral legislatures (with two houses, or chambers): they are capable of representing diverse constituencies, they facilitate a “deliberative approach” to legislation, they hinder the passage of hasty or flawed legislation, and they provide enhanced oversight or control of the executive branch of government. The authority of the two chambers in a bicameral legislature varies widely from country to country. In the United Kingdom, which hasaweak form of bicameralism, one chamber enjoys superior legislativepowers. The degree of predominance also differs in these countries. In some countries, the upper chambers has the power to delay or review legislation initiated by the lower chamber, while in other places, their roles are merely consultative. In the United States, where a strong form of bicameralism exists, both chambers have equal powers, and legislation must be approved by both houses. Unicameral legislatures are often found in countries structured on a unitary governmental system. Unlike the federal model of government, such as that found in Malaysia, where power is distributed between the central government and constituent territorial units, power in the unitary system is concentrated in one central unit. The advantages of a unicameral legislature include the capacity to introduce new legislation rapidly, greater accountability, fewer elected representatives for the population to monitor, and reduced costs to the taxpayers. Bicameral legislatures exist in the United Kingdom, the United States, Germany, Canada, Switzerland, Romania, while unicameral legislatures are found in Costa Rica, Portugal and Hungary. Instances of countries switching from bicameral to unicameral legislatures can be found in recent years. In Peru, after the conclusion of a national referendum in 1993, the Senate was abolished and the country moved from a bicameral to a unicameral legislature. Sweden had a difficult and turbulent constitutional history. It began a four-chamber legislature before it was changed to a bicameral legislature in 1867. The two chambers exercised equal legislative power, like in the US, and this led to unending conflict — the upper house was controlled by a conservative majority and the lower house dominated by a liberal majority. This ideological divide provoked a legislative stalemate and resulted in political stagnation. Finally, in 1967, after more than a century of bicameralism, the Swedish legislature became a unicameral body. Morocco’s legislature began as a unicameral body (House of Representatives) before it became bicameral in 1996 with the creation of the House of Councillors. Learning from the experience of these countries, it is not impossible for our national legislature to become unicameral, just like our state assemblies, if that is the wish of the people and the government. Such a major and life-changing transformation requires an amendment of the Constitution, not something that could easily be done, and before that the people must be given the opportunity to make their decision through a referendum.